If you haven’t been to Mallorca yet than you definitely should! It is one of the most popular tourist destination in Spain. You will be surprised how many English and German tourists you can meet there! During the peak season Spanish language there is almost not existing. However, even if you are not a fan of super popular holiday resorts, the island is super beautiful and has many things to offer. Keep reading and we will tell you why you should visit the Queen of Balearic Islands. Mallorca also called Majorca is the largest island of Baleares located in mediterranean sea and which belongs to Spain. Despite that, you can easily reach another side of Mallorca by car in less than 2 hours. In addition to this Mallorca has only around 900 thousand population out of which half of it is living in the capital called Palma. Palma is also considered as the capital of the autonomous community of the Balearic Islands which consists of Mallorca, Menorca, and Ibiza – Formentera. Transportation of Mallorca is quite good. 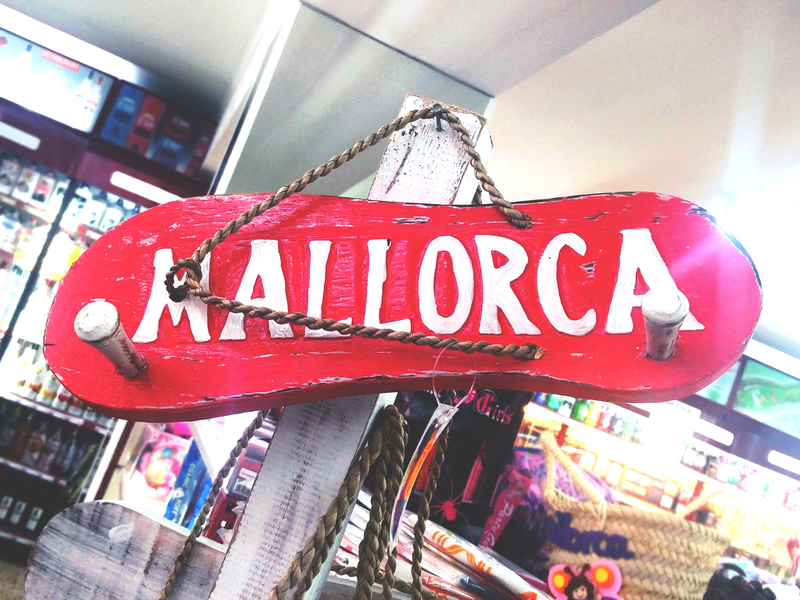 Mallorca has a great airport and can be proud of being one of the busiest airports in Spain. As a result, it shouldn’t be hard to find flights to get to this beautiful island. In addition to this, although it is highly recommended to rent a car while in Mallorca in order to get most out of your trip and discover hidden parts of the island, this Balearic island counts with well-distributed bus routes allowing one to travel from Palma to small resorts and villages of the island. When it comes to trains, Mallorca has a small railway service which connects capital Palma to other bigger towns of the island such as Manacor, Inca, Petra, Marratxí, Sa Pobla, Consell, Binissalem, Santa María, Lloseta, Muro, and Sineu. Metro is only available in Palma. If you are moving around the island by car or by bus we would highly suggest choosing two different places to stay. One in the east part of Mallorca and another in the West. In this way, you will be able to see more and you will save time and money going back and forth to your hotel which probably you will choose to have close to Palma. If you are moving by bus, it is highly recommended to choose the place to stay in the resort which is the best communicated with other towns. In the east of the island, we would recommend staying in Cala Millor, Porto Cristo, Cala Bona. By choosing such places you for sure will be able to enjoy the sun, nice beaches, warm water and at the same time you will not feel like stuck in a small holiday resort bubble. When it comes to the west part of the Island, we would not recommend staying in Palma itself. Hotels are not that nice there and also the prices are high and the beach is not that great. We would suggest staying close to Palmanova. By bus, it is just 30 minutes away from Palma which goes back and forth around every 20 minutes. There you have beautiful beaches, hotels, bars, and restaurants perfect to relax and spend your holidays. The island of Mallorca is rich in cliffs and caves, especially its central and eastern part. When you start searching which one to visit you might get confused which one to choose. Caves of Drach (Cuevas del Drach), Caves of Arta (Cuevas de Artà), Caves of Campanet (Cuevas de Campanet), Caves of Genova (Cuevas de Génova). Cuevas del Drach which can be translated as Dragon Caves are the most visited and most popular between tourists. It is located in the resort called Porto Cristo and it is easily reachable by public transportation. We would suggest choosing these caves over others because it includes short concert and after it, you are able to take a small trip by boat inside the caves without extra charges. The entrants to the caves for the adult cost 15 euros and for the kids 8 euros. It is opened from 10 am to 5 pm every day and the tickets can be easily bought via internet in order to avoid waiting in the queue. We would highly recommend trying to get to the very first session which starts at 10 am. You will face fewer people and the experience will be way more pleasant. More information about Cuevas del Drach. If you are visiting Cuevas Drach we would highly recommend visiting small village resort called Porto Cristo. It is located walking distance from the Cuevas and has to offer beautiful small harbor, beach, and couple viewpoints from where you can see stunning cliffs of the seacoast line of Mallorca. The stunning place which is definitely worth visiting while in Mallorca. Cap de Formentor which is also called by locals as the Meeting point of the winds, is the northernmost part of the island of Mallorca. Its tallest point called Fumart is 384 meters above the sea level. The road which runs from the closest port called Pollenca to the cap of Formentor is 13.5 kilometers long. The road is very narrow and dangerous but definitely worth of the experience. On the way, you not only be fortunate to enjoy the stunning views from above but also you might see some goats jumping in the bushes and making you laugh. You just cannot leave Mallorca without visiting its capital, Palma. Its Gothic Roman Catholic cathedral which is often called La Seu is one of the most known Gothic buildings in Europe and also it is considered to be one of the most impressive buildings which were ever built and went through different artistic styles since the Middle Ages. The rosette of the cathedral is the largest one within the art of Christianity. It is made out of 1236 crystals and is also known as the major eye, Oculus Maior. Apart from the cathedral, Palma has to offer stunning Paseo Maritimo (harbor), L’Almudaina Palace, Bellver Castle, Es Baluard Contemporary Art Museum to mention few. If you are looking for a great beach near Palma, Palmanova and its surroundings will definitely satisfy your desire. Palmanova and its surroundings have a couple of small to medium size beaches, some with small cliffs and little harbors which give a special character to each of them. Palmanova is very popular place between those who prefer to have more relaxed all inclusive holidays. However, bars and restaurants indicating “Tourist Manu” are very common. If you are a nearby and hungry jump to RIKY’S pizza & steak or The Venetian Palace. The food there is just stunning! Grab the day menu at Ricky’s and the pizza of your taste in The Venetian Palace we are sure you will love it! Manacor is the second largest town of Mallorca which you may pass while traveling around the north-eastern part of the island. The town is famous for its big and super busy Monday street markets, its furniture manufacture and of course artificial pearls which you can buy at different shops across the island. Moreover, Manacor is the birth and hometown of one of the most famous tennis places of all times Rafael Nadal. The legend here has opened his Rafa Nadal Academy and is planning to build his tennis legacy. If you are at Son Servera in the evening don’t miss an opportunity to visit called Sa Punta Restaurant. You might be lucky to see Rafael Nadal there since it is his favorite place to dine. If not well you still are going to have a stunning view in front of you and great food. In love with Mallorca? We are sure you will definitely going to be after your holidays!